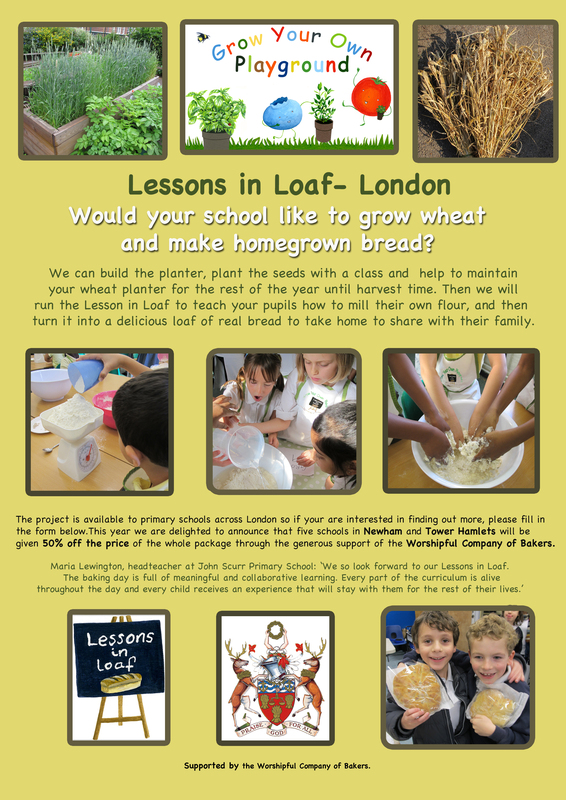 Lessons in Loaf: London is run by school food expert Cassie Liversidge. Having been helping schools to grow wheat to bake into bread since 2010 as part of Grow Your Own Playground, she has the experience to ensure a smooth and professionally run programme. The other partner in the programme is the Real Bread Campaign, part of the food and farming charity Sustain, which also runs London Food Link and its Capital Growth network of community food growing spaces.